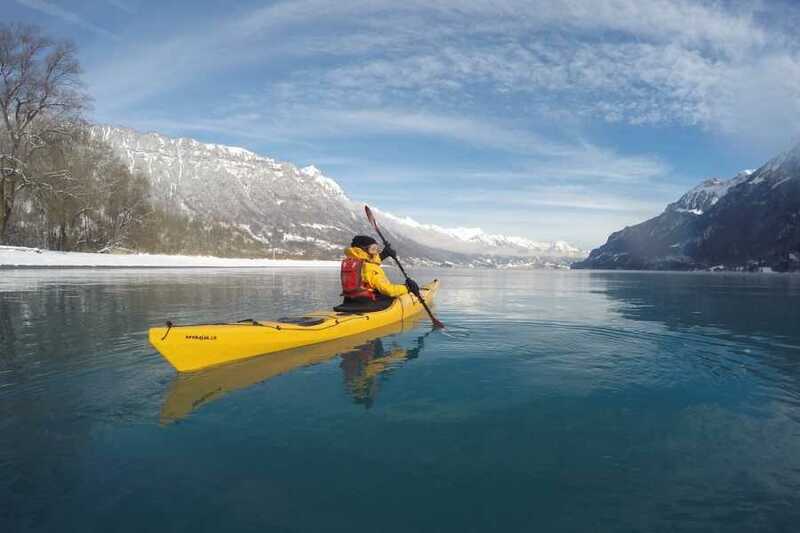 The winter months offer some of the most breathtaking views of Lake Brienz. 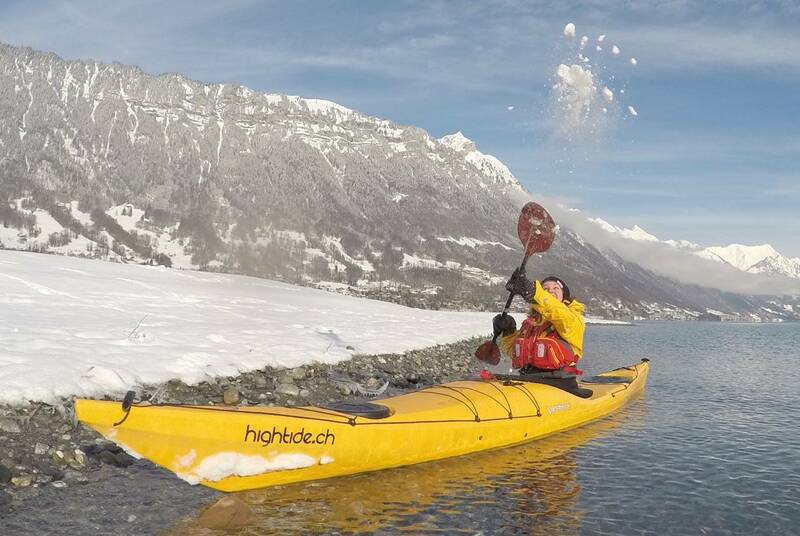 From your kayak, you are surrounded by snow covered mountains which reflect beautifully on the mirror-like water. Winter is the time of year where we truly have the lake to ourselves and whatever the weather you are guaranteed to have an unforgettable experience. 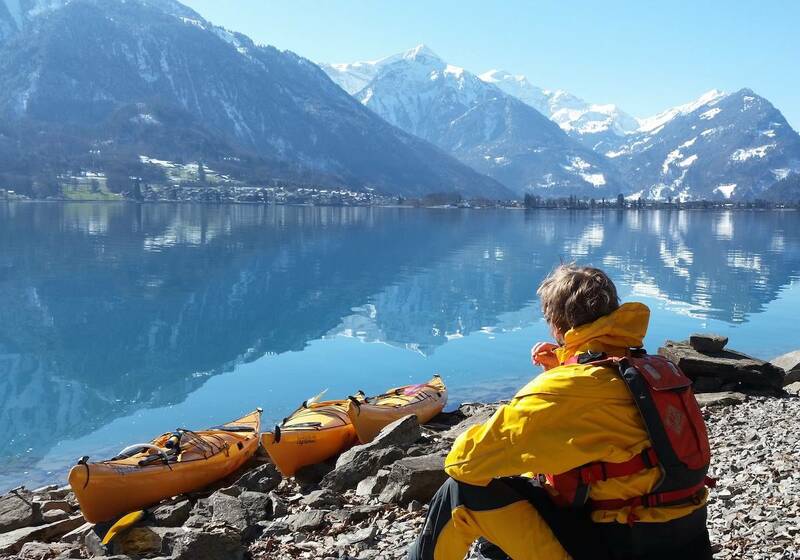 We start at Bönigen, travelling across the River Lütschine and towards the north shore, where we visit the beautiful cliffs, the old 12th century Ringgenberg castle and hidden beaches along the way. 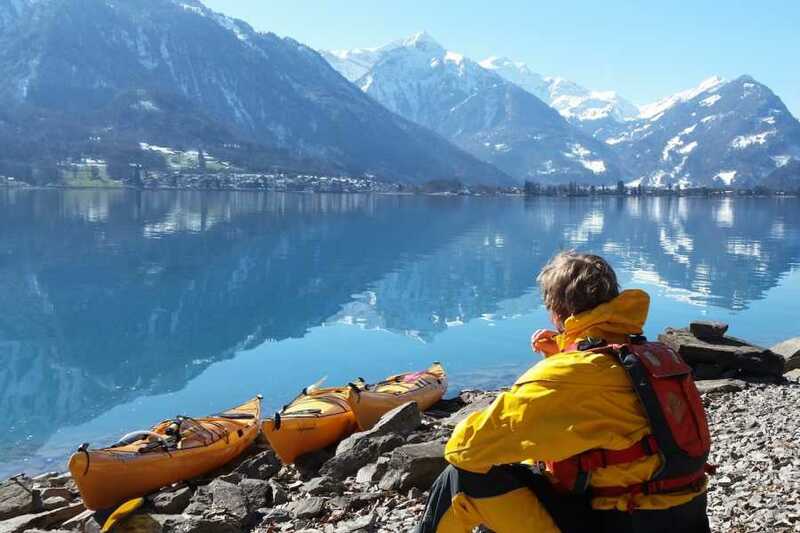 After developing your technique we set off to make a crossing of the 260m deep lake on our way back to Bönigen, where we end with the opportunity to practice some rescue techniques, develop some skills or plays some games.